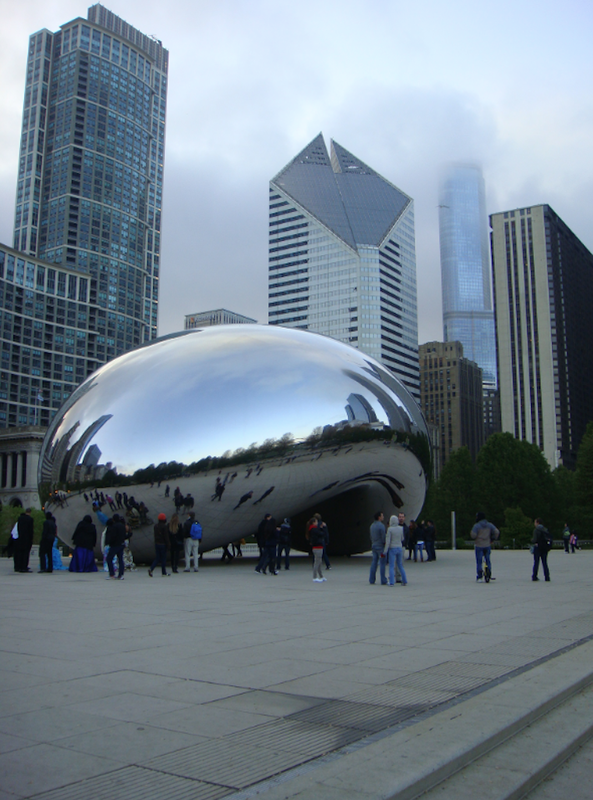 Looking through my American travel reports on this blog I realized that I hadn’t blogged about Chicago at all yet! My American boyfriend Chris and I didn’t visit Chicago this time around when we were in the USA for Christmas, but we did visit there during one of our previous visits. 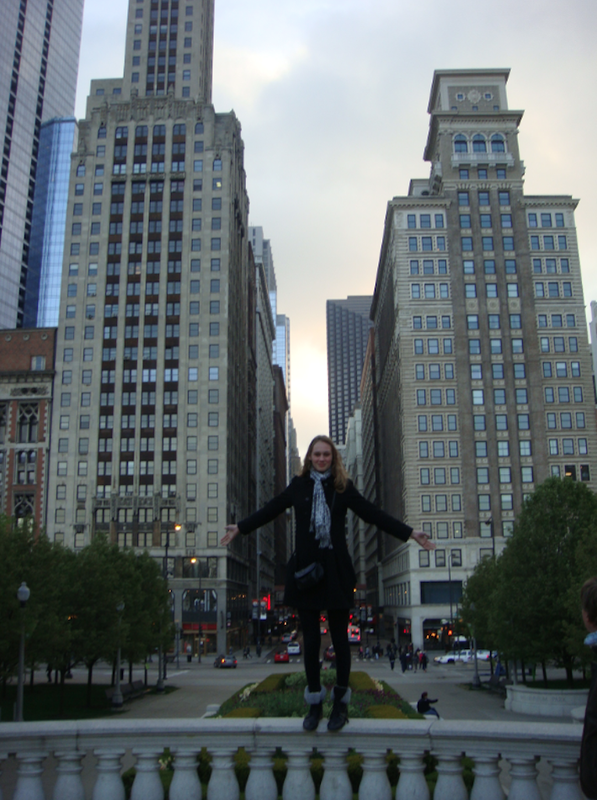 I therefore would like to show you around Chicago, also known as ‘The Windy City’. 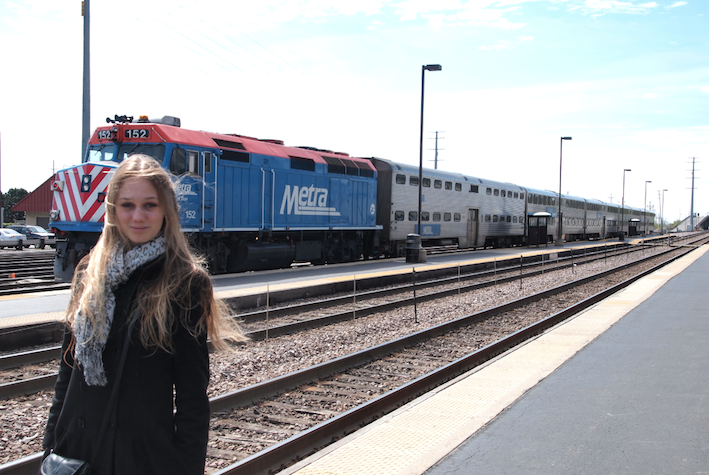 Come along as we travel by train from Gurnee alongside the coast of lake Michigan to Chicago. Before we visited Chris family, who live around two hours above Chicago, we wanted to spend a few days in Chicago. At Chris’ recommendation we stayed in Gurnee a little town not to far from Chicago. In Gurnee is a train station and from where you can take the train into Chicago, which saves you a ton on parking. In Gurnee is also a pretty cool outlet mall called Gurnee Mills – if you ever go there visit the Rain Forest Cafe, it’s awesome – and Six Flags. In all the years that I have visited the USA we have never made it to Six Flags yet, but according to Chris – who has of course lived here for years – it is mind blowing! Trains are very uncommon in the USA. Because of that the train to Chicago didn’t run often. 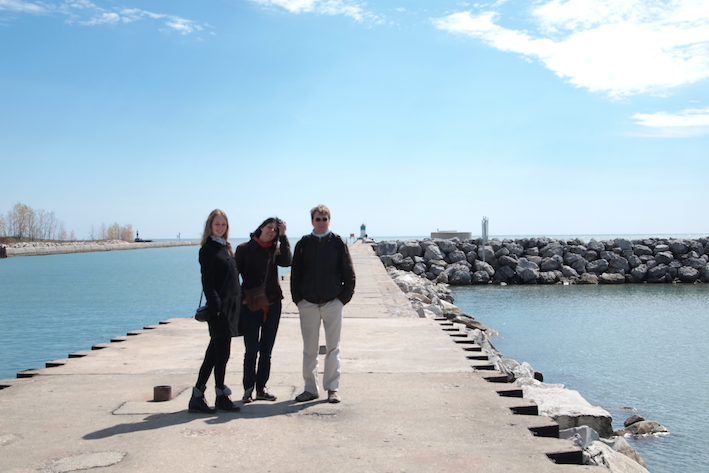 We had an hour to kill before our train departed so we decided to take a look at lake Michigan. It was very cold the weeks we were in Wisconsin, but luckily it was bright outside so the lake looked stunning. Funny fact: my entire country (The Netherlands) could easily fit into this lake! My family consists of my mom, dad and me. Next to the pier I discovered this (disgusting) beach. It was full of big still intact fish bones. They had huge teeth which made me vow to never swim in this lake. According to Chris a lot of people don’t, because even though the lake looks bright and blue it is quite dirty. It of course depends on where you are, it is a big lake. By the big cities it is more dirty. Our train arrived! When I saw it I was convinced it was freight train. It looked so ugly and bulky! 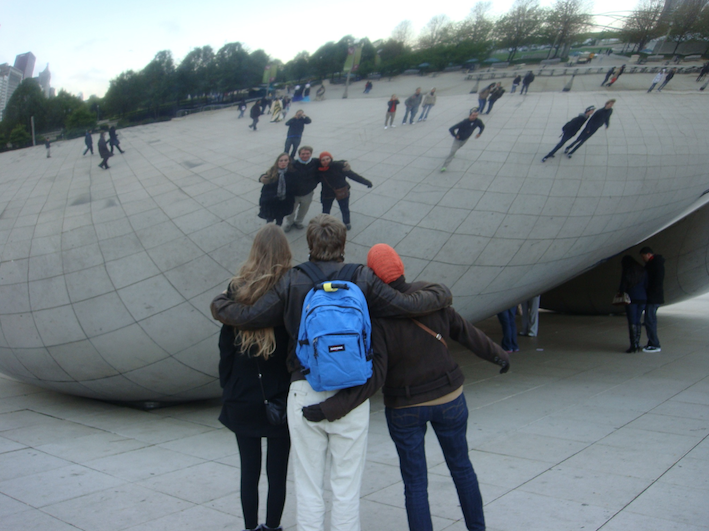 The train stopped every five minutes and took more then 1,5 hour to get to Chicago, but it was a fun experience. In the USA punch still holes in your train ticket. Another interesting thing is that you clamp your tickets on the chair in front of you. 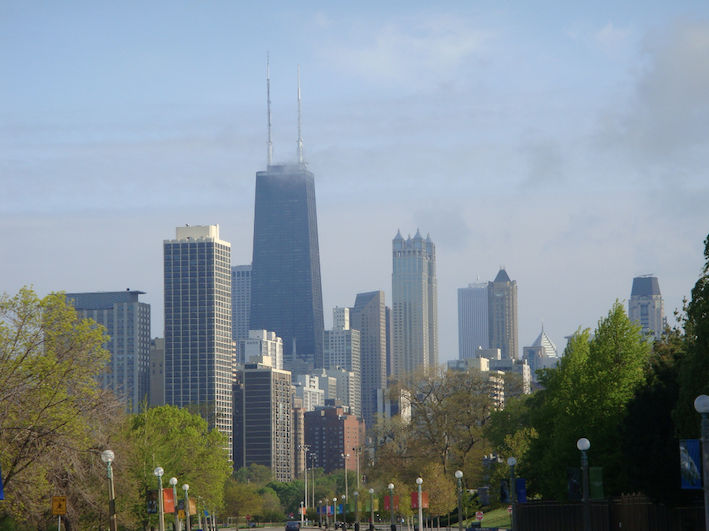 Chicago skyline seen from the Lincoln Park Zoo (that will come by in a later blog post). Loving this scenery! 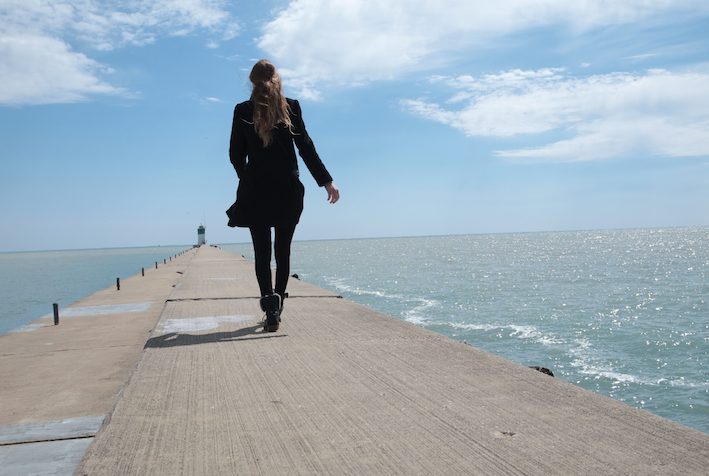 Next time we are in Chicago I want to go back to this spot to take outfit pictures. Battle of the giants. In this picture I look taller then Chris, but I’m not. He’s like 4 cm taller. Yes, at 1.80 m (5’11 ft) it is important to me that a guy is taller. I know it’s a silly thing, but as I’m taller than a lot of guys it’s nice to feel ‘small’ or at least ‘normal’ next to my own man! In the USA people consider Chris to be very tall (and skinny). At 1.84 m (6 ft) he is the tallest of his entire family. In the Netherlands he is about average. Family members that haven’t been over here yet can hardly believe that. The above pictures where taken at Millennium Park. 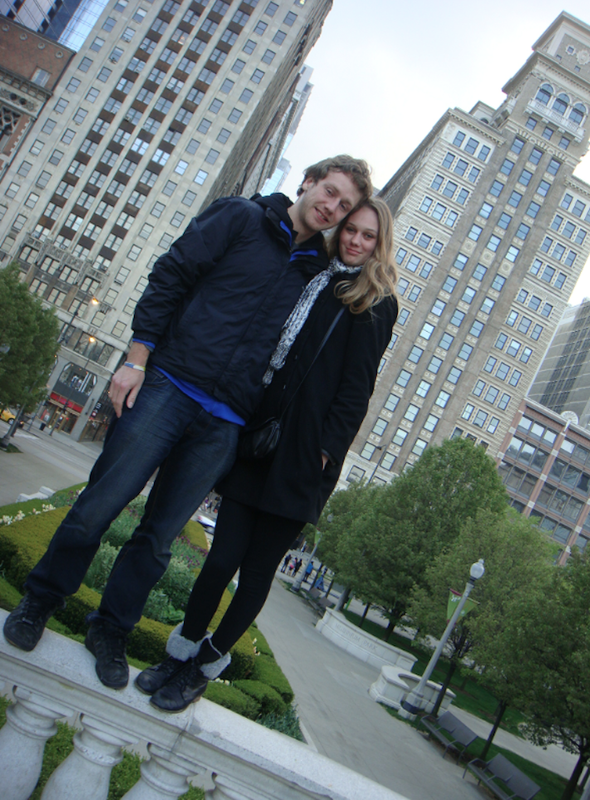 It was extremely cold and windy in Chicago that day (I guess they call it the windy city for a reason). 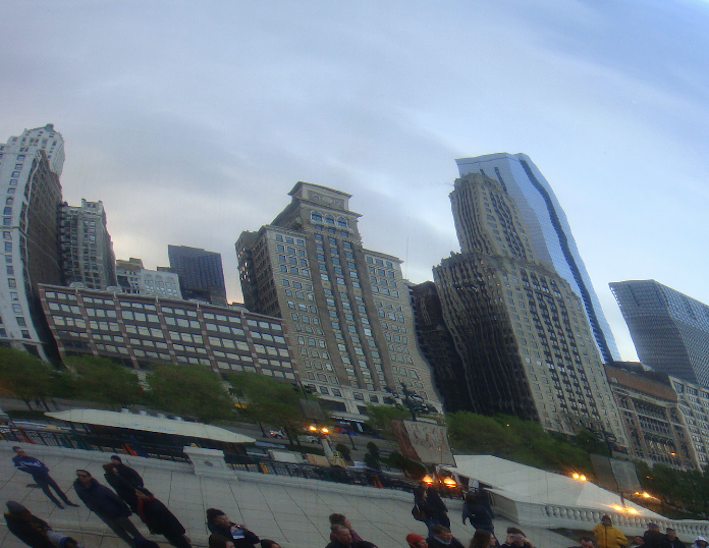 I absolutely loved Millennium Park. 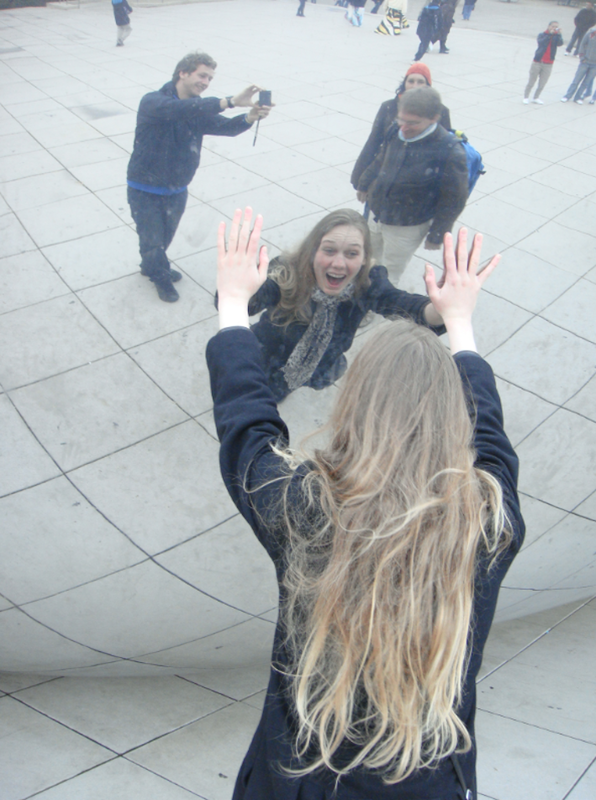 One of the most amazing things there was the Cloud Gate, better known by its nickname ‘The Bean’. We didn’t expect the USA to be so cold during the time of the year that these pictures were taken (early spring) so we packed very little winter clothes. Gloves, a beanie? we didn’t even think about it! My mom was so cold that she used her summer scarf as a hat. I can’t believe how long my hair was here. Although it does look pretty dead. I love the pictures you can take using this work of art! 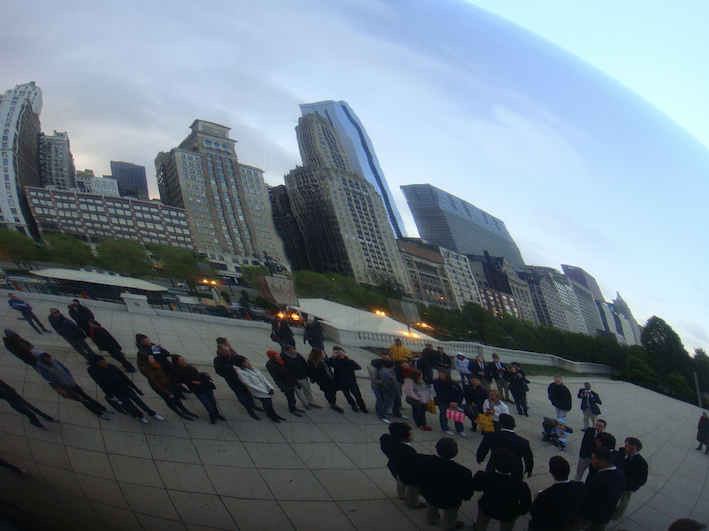 While admiring the Bean a choir walked in front of it and started singing in perfect harmony. It was amazing to listen to. To my surprise they didn’t go around for money afterwards at all! Maybe that is just a European thing? From now on I will update my blog with some USA posts as well. A post about New York (we visited here recently) is still coming up. I am taking my time as I want that post to be really good and informative. Hope you liked this post! Feel free to follow me on on Bloglovin’, Twitter, Instagram or Facebook! Zo zo zo leuk om te lezen en wat een mooie foto’s, ik ben verliefd! Aww wat een lieve comment! Morgen komt Part II online!